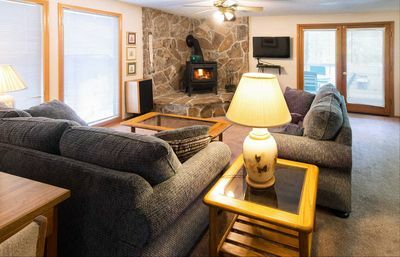 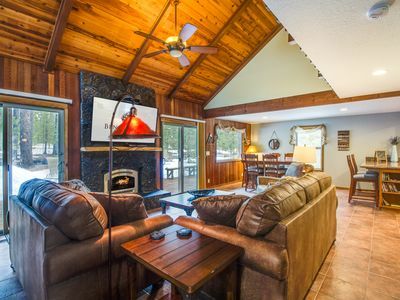 If your idea of the perfect mountain retreat is a comfortable, upscale cabin in the woods then this is the home for you. 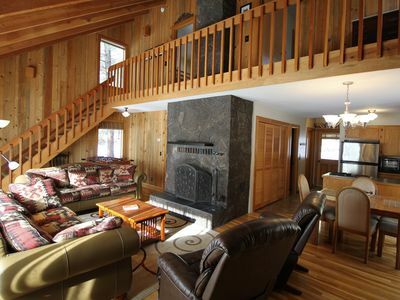 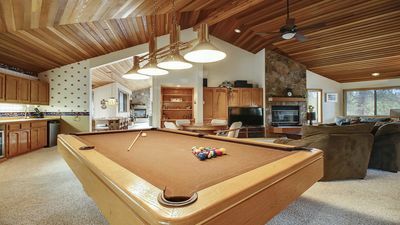 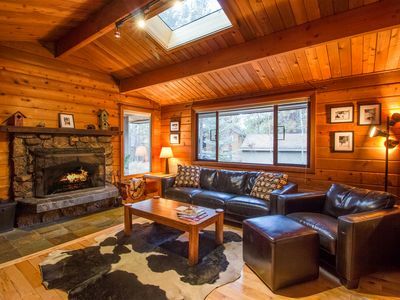 Knotty cedar walls throughout the home give this recently remodeled home a true resort in the mountain feel. 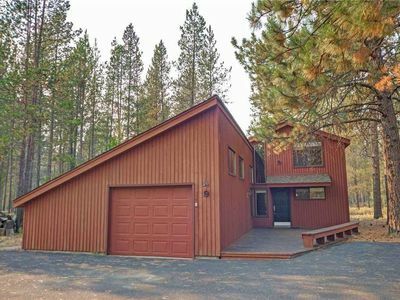 Single level, 4 bedrooms, and 2 bathrooms. 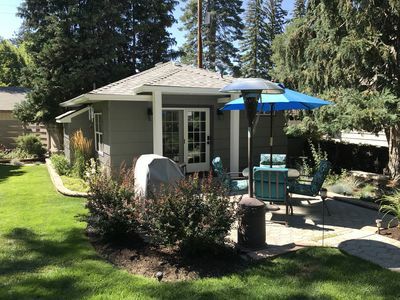 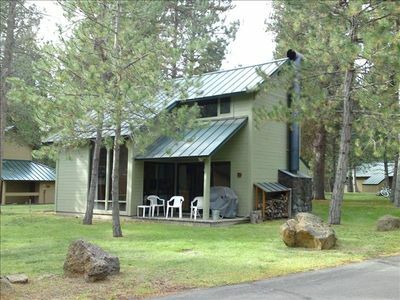 Located within a very short walk to the Village at Sunriver & SHARC. 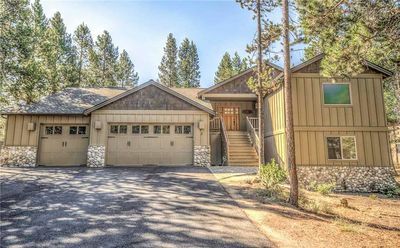 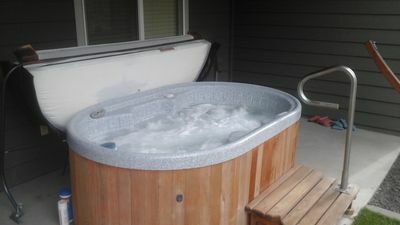 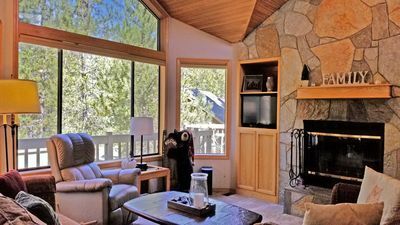 Take a bike ride anywhere in Sunriver on one of the 4 adult bikes provided with this vacation rental home. 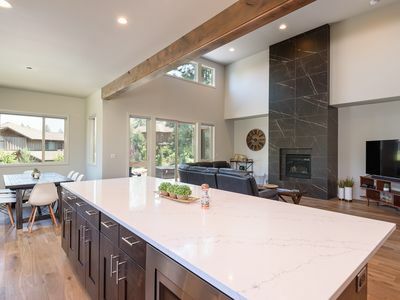 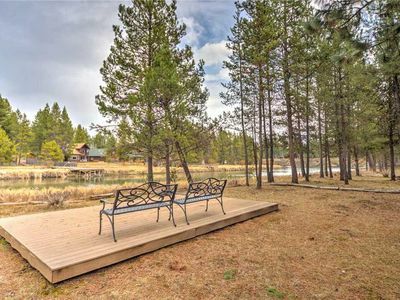 Nestled among ponderosa pines, this home has two living spaces, a spacious kitchen and a large deck for summer BBQs. 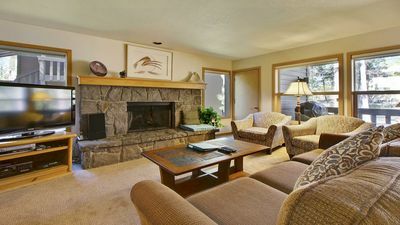 Great for a romantic weekend in the mountains or a family reunion to the outdoor capital of Oregon. 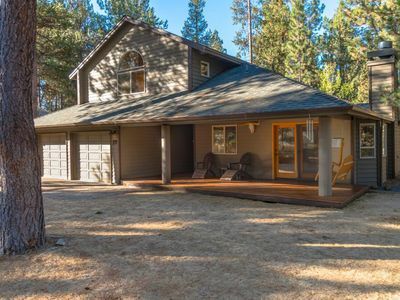 No Garage with this home. 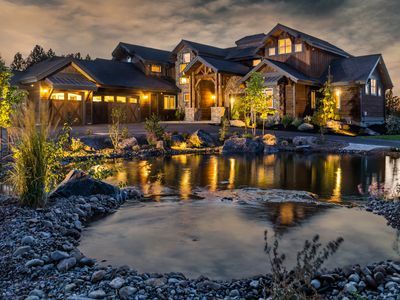 Majestic 5500+ sq. 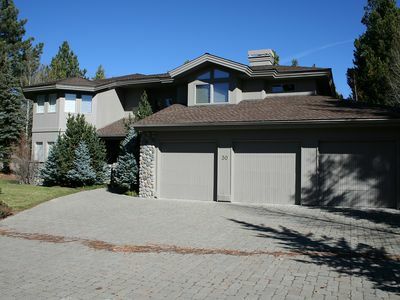 ft. luxury golf-fronted home with 5 master suites!! 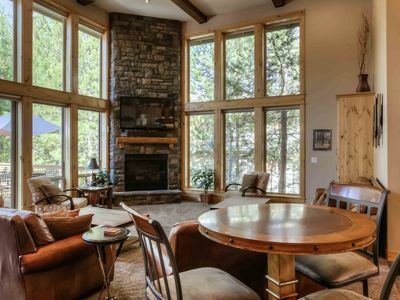 Luxury 6 Bedroom Lodge Style Home. 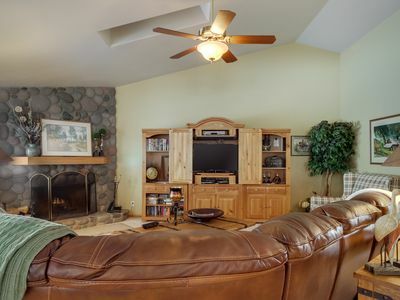 3 Master Suites! 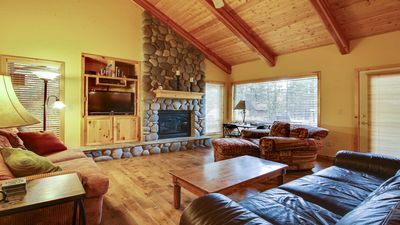 Free SHARC Passes.